The 2015 holiday season is now behind us. But if you’re like most retailers, returns still present a challenge to say the least. So while your return experiences are still fresh, let’s talk about how you can start revamping your returns strategy this year. First, figure out who should care about this. For most retailers, it’s usually the marketing and e-commerce teams. They look at sales and returns and then figure out how to improve. But they’re not the only ones who should be involved. They’ll also want to involve the supply chain staff in their returns discussions. And while the buyer doesn’t need to be at all the meetings, that individual should also be involved or at least knowledgeable of return trends, which will be critical when consider which products and categories to add in 2016. Second, you can start reducing some of the pain by examining your relationships with suppliers and determining whether you have a consistent return procedure with all of them. Step back and look at your relationships. Who handles your returns: the vendor or you? Is the answer the same for every supplier? Do some thinking about who should be managing those returns in the first place. In some cases, retailers manage the returns and everything is returned to the retailer’s warehouse or a third-party logistics provider. But maybe it should be the vendor. Define the process and figure out who should own it, documenting your thoughts so that all parties know their role. Third, analyze why returns are coming back. If customers are telling you it’s “nowhere near what I thought it was,” then maybe the supplier and retailer need to consider whether their digital content and item attributes might be the problem. For example, do you have up-to-date photos and accurate product data? You should also make sure you correctly fulfill orders with the correct items (the fourth most common reason returns happen), which means asking suppliers and/or fulfillment centers to improve their own efforts and decrease error rates. Fourth, engage your customers and look at why you allow returns. Is it to maintain customer loyalty and improve your reputation, along the lines of the famously generous Zappos return policy? Is it to keep customers happy and avoid losing sales? Or in reality, does it cost too much to accept a return in the first place? A few months ago, I bought a Keurig machine that didn’t work properly or meet my expectations. I wanted to return it to Keurig. When I contacted the company’s customer service department, they sent me a new one and simply said to dispose of the faulty one as it ended up being cheaper for them to have me keep the machine than to handle the return. 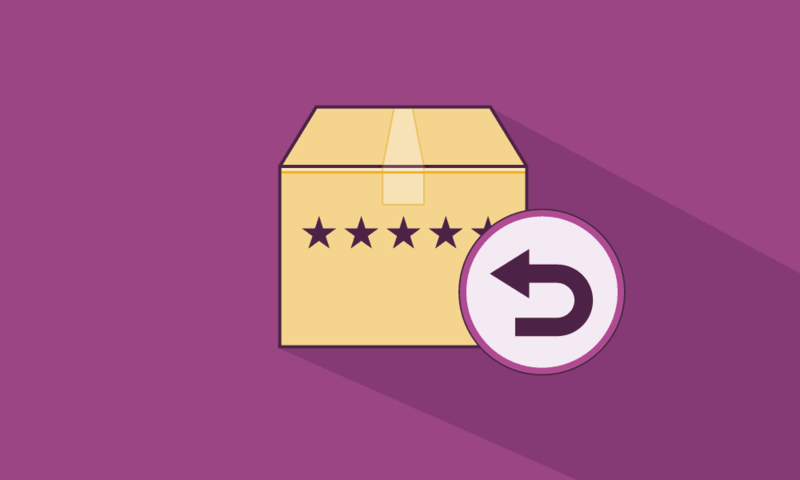 In most cases, having a consistent and streamlined return policy would prevent this less-than-ideal situation and such products could be returned, refurbished and resold. But in other cases, the return costs may mean situations like my extra Keurig occur more frequently. Finally, look at the return process that makes the most sense, especially from a customer’s point of view. This also takes your reasons for allowing returns into account. A handful of smart retailers are offering customers the choice to return e-commerce purchases at their stores. These returns likely find their way to a clearance rack or an employee store, allowing retailers to recoup some of the cost of the return. More importantly, they want to keep the customer engaged and know that once in their store, consumers are likely to buy something else. I predict that 20% of retailers will offer return-to-store by the end of 2016 — and that by the end of 2017, nearly everyone will have some form of return-to-store program. Remember, returns of this nature aren’t all bad, because they can increase traffic and loyalty while offsetting return freight expenses. If you’d like help revamping your return strategy, SPS Commerce can help you in a number of different areas through a variety of products and services. Please visit our website for more information.